A long time ago... there was FuelTastic! which I made for KSP 0.17, and lastly updated for 0.21. 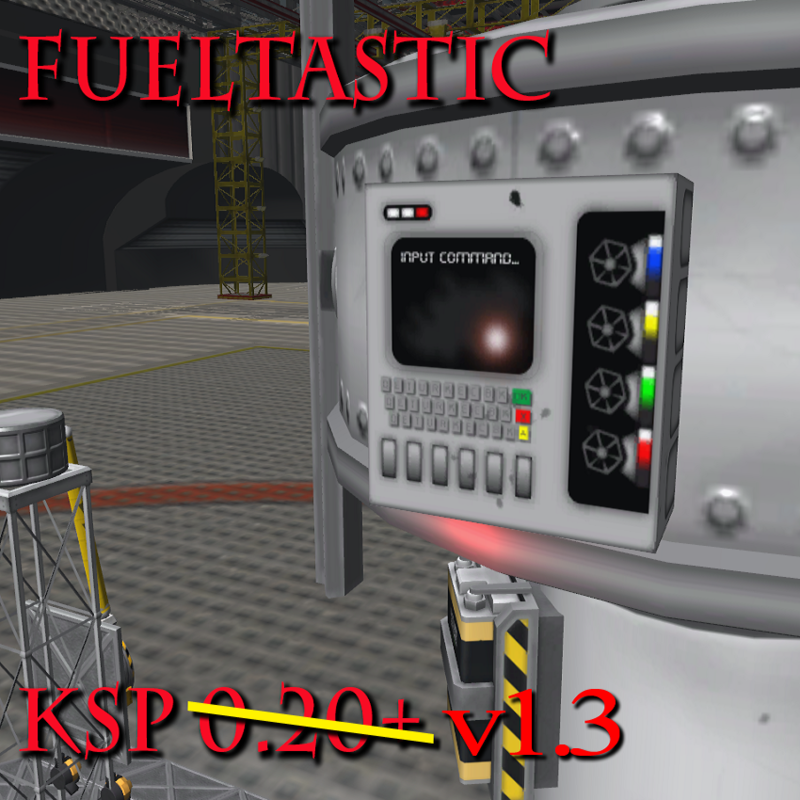 Now there is FuelTastic for KSP 1.3 - I found the files on my living room computer, it was last made for KSP 0.21 - I dusted it off and revamped it a bit to work for 1.3. When converting it uses Electric Charge and Ore, the smaller surface attach unit creates Oxy and Fuel, the larger one is a in-line stacker that can hold a tiny bit of ore as well as an by-product gas that is mono-propellant! FuelTastic isn't a simple converter like the stock units, oh no! It will have issues you'll need to keep on top of - in the form of a few somewhat simple math questions. Every 5-25 minutes (random) the efficiency will change and you'll need to solve the problem to keep it running nicely. At it's best it will convert more fuel from less ore than the stock converters. Plus it has a silly sound, a flashing light and lastly a goofy particle effect when it's operating. "FuelTastic! - Don't leave Kerbin without it!"